About four years ago this month I heard about the Summer Teacher Institute: Expanding Literacies, Extending Classrooms at the Yale Center for British Art. . After reading about the workshop I said to a colleague, this sounds really interesting. At the same time I was in discussions with my supervisor about switching courses. I wanted teach our standard level 9th grade instead of teaching AP Literature for Seniors. I was curious about the smart phone cultural effect on students not in an honors tract. After one day at the conference I realized the emphasis on visual literacy, the power of embodied visual experience, the role of seeing and knowing, and the mindfulness practices were all areas I had been slowly incorporating into my classes. Yet, I had not thought of placing these various domains together, in a daily way, in the classroom. I left the conference with more questions and quite inspired. I spoke to my then supervisor about a pilot program where I would take the students to the museum giving them an opportunity to practice what I had practiced myself. I had no idea where this journey would take me. After four days of sheer intense encouragement I knew that I had reasons for incorporating visual literacy practices, skills and theories into the classroom. The following year each student had a journal (without lines) and we visited the museum several times. Now, four years later, 33% of those students, now seniors are taking our most advanced courses in the department. Regardless if these students changed tracts, the work they produced that first year still gives me pause. The skills they developed are remarkable. 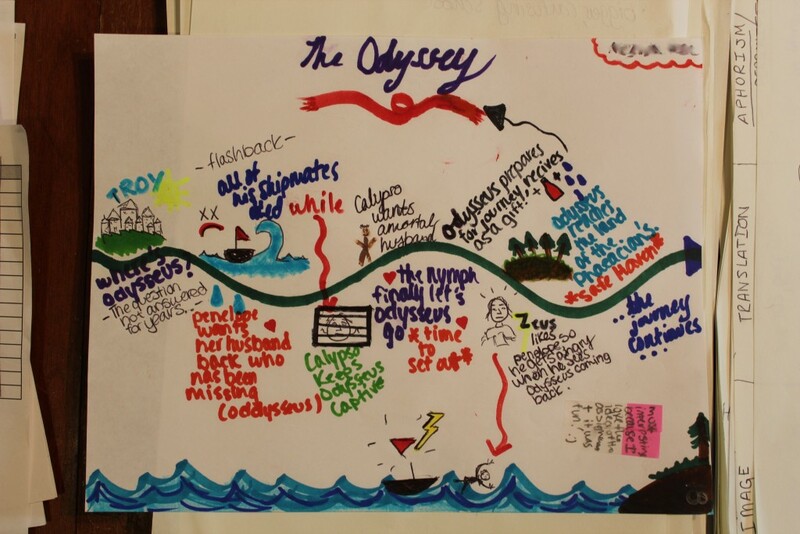 During the first quarter, I asked the students to draw a map of their reading experience. I am indebted to the YCBA Department of Education and all those who lead workshops and gave lectures for having the vision of the Summer Teacher Institute . I would encourage you to sign up and join us in June. You can register here.